Show your Utah Utes pride with this new v-neck tee from Colosseum. Featuring the Interlocking U logo printed on the front with Utah Utes circling it. 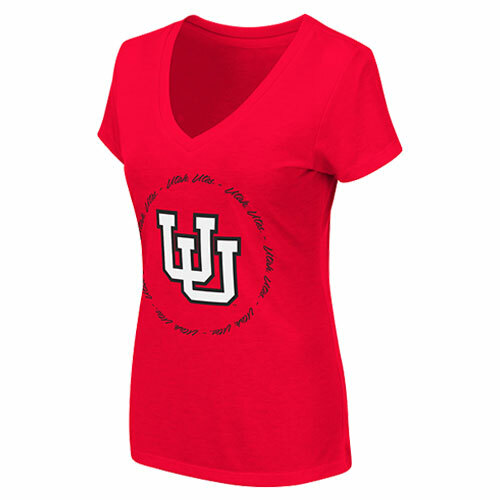 Please select option for Interlocking U Utah Utes Circle Womens V Neck Tee.